It is with great sadness that the family of Dr. Chi Yun Shim announces his passing after a brief and unexpected illness, on Wednesday, August 15, 2018, at 81 years old. Dr. Shim followed his beloved wife of 52 years, Il Sook Shim, who passed away in 2015, to Heaven. Arriving in Chicago, Illinois in 1966 from Seoul, Korea, Dr. Shim interned at Cook County Hospital and was a resident at the University Hospitals of Cleveland before beginning his life in Richmond, Virginia in 1972. He served his community as a greatly respected and much-loved anesthesiologist at West End Anesthesia at St. Mary's Hospital for 30 years and his caring bedside manner and vibrant personality were greatly appreciated by his many patients and colleagues. He also worked tirelessly to establish and develop the Richmond Korean Community's Korean School for over a decade. 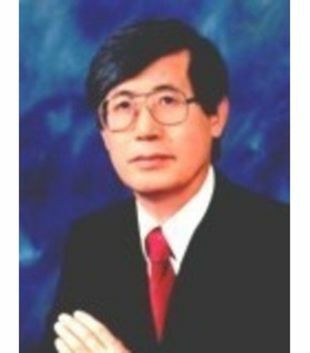 Dr. Shim was a devoted member of the congregation of Richmond Korean Presbyterian Church for over 45 years, where he befriended and was loved by many fellow congregants. He was an enthusiastic member of the Yonsei Severance Alumni Association, as well as the Seoul High School Alumni Association, both premier academic institutions in Seoul, Korea, at which he made many life-long, devoted friends of over 65 years. His energetic and ever-youthful presence will be lovingly remembered by his three children, Daniel, Susanne and Margarette. He will also be adoringly remembered by his six grandchildren, Holden, Hayden, Annabelle, Lucas, Andrew and Heath. Dr. Shim is also survived by his daughter-in-law, Jennifer Shim; and sons-in-law, Brian Neer and Jeffrey Parsons. Dr. Shim was predeceased by his brother, Chi Ho Shim; and sisters, Chi Sun Shim and Chi Jung Song. A funeral service in memory of Dr. Chi Yun Shim was held on Saturday, August 18, 2018, from 4 to 8 p.m. at Woody Funeral Home, with Reverend Young Ho Lee officiating. His cremation followed on Monday, August 20, 2018, at 11 a.m. at Woody Funeral Home. A memorial garden will be created for Dr. and Mrs. Shim at their home address in Richmond, Virginia. Flowers are being received at Woody Funeral Home and at the family's home address.